Success! 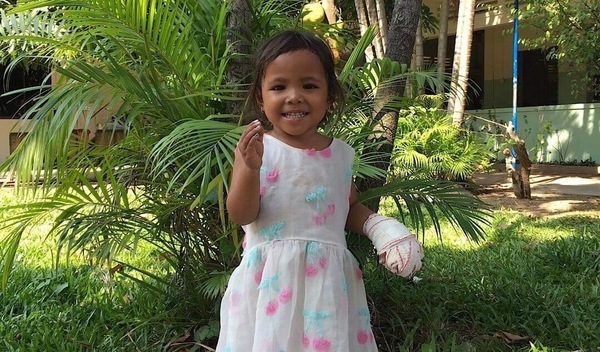 Srey Nith from Cambodia raised $448 to fund burn repair surgery. 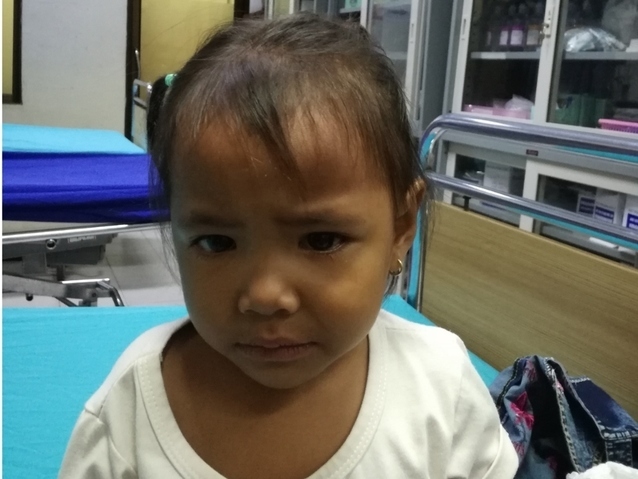 Srey Nith's treatment was fully funded on January 20, 2019. Srey Nith underwent burn repair surgery. Srey Nith’s surgery went well and she’s been working with the physiotherapy team to improve the mobility and function in her fingers. Surgery will allow Srey Nith to greatly improve her quality of life and allow her to live without pain. Srey Nith is a three-year-old girl from Cambodia. She has one brother and one sister. She likes to play with her siblings, watch TV, and go for walks. Two years ago, she was burned by an electric pot on her three left fingers. Burn scar contractures have developed, tightening the skin around her burn. It is difficult for her to bend her fingers. When Srey Nith’s family learned about our medical partner, Children’s Surgical Centre, they traveled for one hour seeking treatment. On January 8, surgeons at CSC will perform a burn contracture release surgery to to help her use her fingers easily again. Now, her family needs help to fund this $448 procedure.